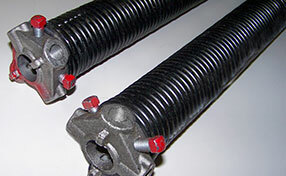 It is best to provide garage door maintenance at least twice a year and to focus on all important components from the torsion spring system to the opener and its settings. In case of a snapped cable or a malfunctioning opener, seek our emergency services designed for all types of automatic garage doors. Get the fastest professional repair for perfect peace of mind. When your garage door is not working properly, and you can’t see an obvious mechanical issue, your opener mechanism could be the problem. While you may eagerly take on DIY projects around your house, this is one job you should happily leave to a professional. 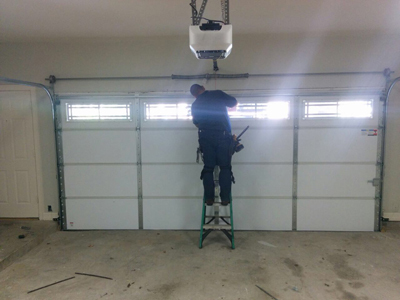 Our competent technicians are able to carry out a range of professional repair and replacement work on all brands types of garage door openers. We are proud to have built a strong record of outstanding service over the years. As our customer, your happiness comes first and we go to great lengths to make sure you are 100% satisfied. The capacitor in the opener unit is similar to a fuse and powers the starting and stopping function of your door. If you notice that the opener smoked a little before it stopped working completely, it could mean that the capacitor has blown out. 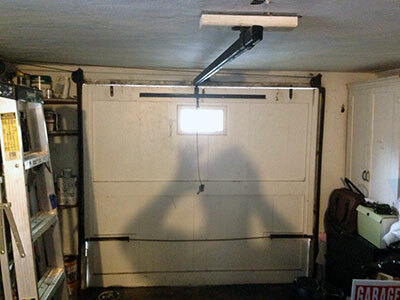 If this is the case, then it’s good news because this is one of the most common problem with garage door openers, and it’s one of the simplest fixes to getting yours working again. Our technicians are equipped to replace capacitors on the spot, meaning that it could be a matter of minutes before your door is back to perfect working order again. If you’re in the market to replace your old garage door opener unit for a new one, let us be your first stop. We stock a wide range from the leading manufacturers such as Liftmaster, Genie, Chamberlain, and Craftsman, offering you choice in terms of design, security, and remote control features. We’ll gladly come out to your home to complete a full needs assessment, and recommend the best options for you. In addition, we’re able to install the unit, paying adherence to the manufacturer’s as well as our own strict quality standards. It’s our commitment to leave you with an opener that will give you years of fault-free functioning. Remote control operation certainly makes life easier by allowing you to remain in your car while it opens. But clickers do eventually stop working. Sometimes the solution is as easy as replacing the batteries or perhaps cleaning the eye of the remote control. However, if you’ve tried this and it doesn’t work, we’re here to help. We can evaluate the controller and receiver units on the opener, and perform a reset or reprogram on the spot. We can also determine the cause of frequency disruptions if your remote signal appears to only be able to activate the opener unit from up close.